Select Open PDF from the Start Menu. 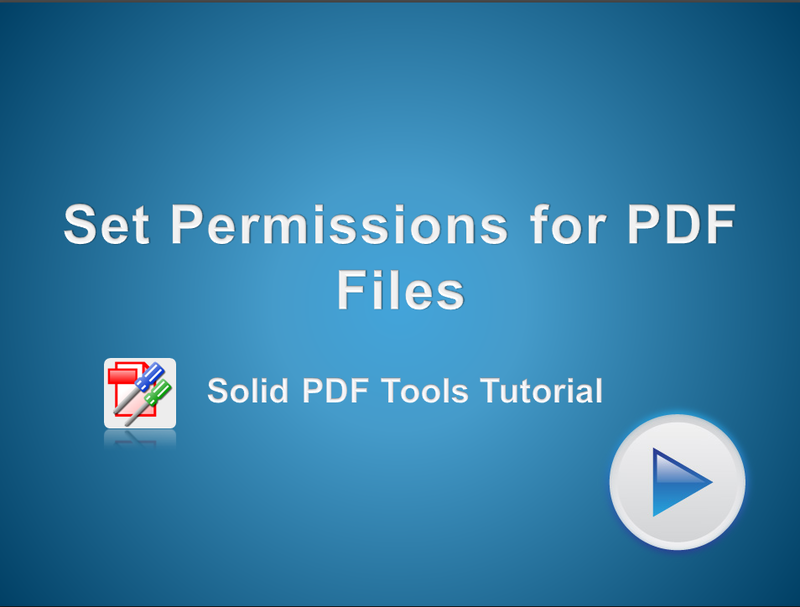 Select and Open a PDF File. Select the Security tab from the Dialog box. Then click on Change Security Settings. Select the level of encryption you want from the drop down menu. Check the box under the Permissions heading to Restrict Editing and Printing of the document. Type in a Owner password. Repeat the password and make sure a green tick appears to confirm they match. Set what Printing and Changes are allowed by selected options from the drop down menus. Note: you can also Enable / Disable Copy of Text and Images. Then click OK to return to the PDF File. The changes to the PDF File need to be saved. From the Main File Menu select Save. A Padlock will now appear in the left hand panel. Click on this to see the Security Settings for the file.